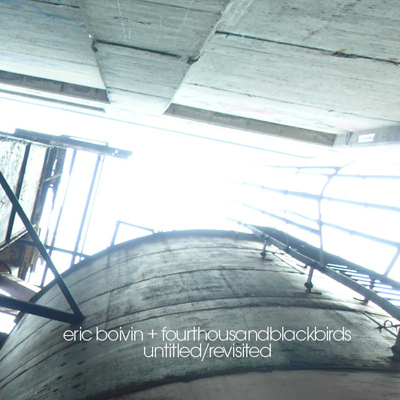 While this great recording is done by the prolific Eric Boivin and fourthousandblackbirds, there is another key element for the live show where this mini album was recorded, and this element is Dominic F Marceau on visuals. I am writing this because one has to imagine what kind of images can accompany these strange sounds. Strange? Strange in all the good ways. untitled/revisited begins with the sound of softly ringing old analogue phones, and it goes further into the darker corners of the psyche as time goes by. Low, trumpeting drones add volume to the audio samples, and soon we find ourselves immersed in a warm, slow swamp of subliminal messages through samples and drones whose sounds vary from those of a wind tunnel to those of a freezing hell. In twenty minutes Boivin and fourthousandblackbirds take us on a broken psychedelic trip and it’s a perfect timing of a haunting, uneasy voyage. This is certainly a dark rabbit hole you all should jump in and never look back.